ON THE NEW VERSION OF THE FORUM IT TAKES A LITTLE BIT MORE EFFORT TO RESET YOUR CHOICE TO EITHER RECEIVE, OR NOT RECEIVE THE FORUMS MESSAGES BY EMAIL, AS EACH FORUM HAS TO BE SET INDIVIDUALLY. THERE IS NO SINGLE CHOICE FOR ALL OF THEM. 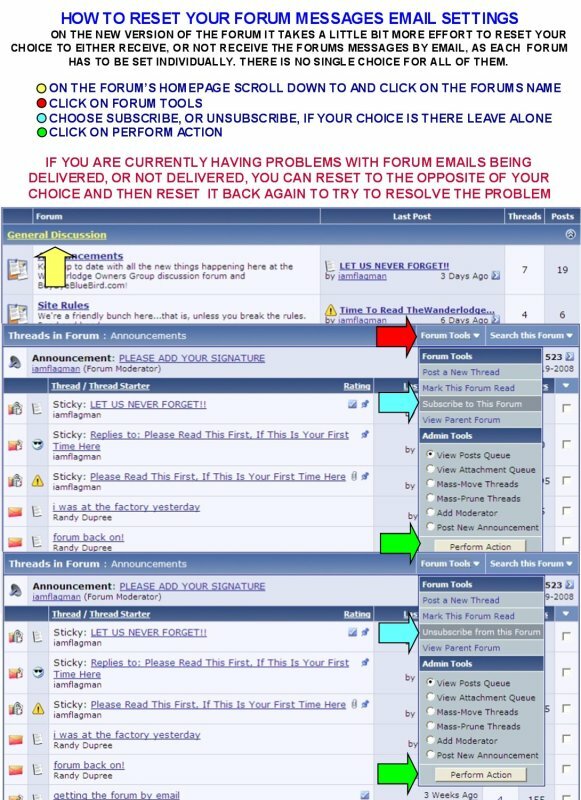 By default, all members are set up to receive instant email notification of each post or new thread in the forums.